When will the downturn in European Tourist numbers and visa problems start to filter through to the girl’s salaries and families in Thailand? The simple answer here is that it already has. Pattaya, in particular, has seen a noticeable drop in western European visitors since the political issues began in Bangkok last November. Recent studies have revealed a 30% drop in Russian visitors to Pattaya when compared to the same time last year. The Military coup in May has brought peace and order back to the capital city, but has scared off a lot of would be tourists, mostly as a result of European media and governments issuing unnecessary travel warnings to the Kingdom. Real estate businesses have experienced the downtown too in both the sales and rental markets. This is further fuelled by changes in visa regulations and implementation of visa laws that were actually in place. The National Corporation for Peace and Order assures foreign visitors not to worry when visiting Thailand. 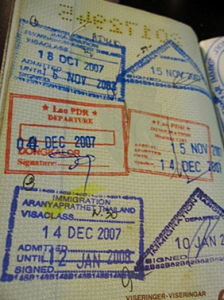 Many foreign visitors staying in Thailand for long periods of time were abusing the Tourist visa system by simply getting back to back visas and effectively using what is meant to be a tourist visa for a maximum stay of 6 months (including extensions) to stay longer. Some argue that these changes will ruin the economy, others believe it will help remove criminals and illegal workers from the Kingdom, but has this all affected the bar girls salaries and their families? With less visitors to Pattaya many bars are not as busy as they were last year. It is low season right now and the real test for many bar girls and their families will be this coming high season. Girls who work in Pattaya’s bars often send money back home to their families, many have children to support that they leave with relatives whilst they earn money working away from home. Families up country in the North East, for example, often live simply and have grown to rely on their daughter’s income to survive. The NCPO is planning to create an interim Government before allowing the country to return back to democratic elections. It is important that they stick to their plan and gradually implement the necessary changes in order to create economic and political stability. In the mean time we all need to count the pennies and hope for a prosperous high season. So the next time you’re out drinking in Pattaya’s bars, don’t forget to tip the girls.